Previously, in Part I, we looked at some of the major ways that Uber had improved the market for people who use taxis and/or ride sharing. This week we are going to look at the less rosy side of ride sharing services. When you consider the main player in ride sharing, Uber, there seems to be a general agreement that they are improving the situation for everyone. The customer is happier because they are getting better service than they were from a taxi. The drivers (who in the Uber model are also the owners) are happier because they are making all this extra cash. How can this be? If the reason taxi services are so intolerable is because taxi owners are squeezing all the profit they can out of the business, how can Uber drivers be making more money and offering a better service? As we saw last week, part of the answer lies in some genuine innovations that Uber brought to the market. These innovations help their drivers to be more efficient and maximize the time spent with a customer in the car. But, as we also saw, most of these advantages have already been replicated by taxi services. If taxis are replicating most of Uber’s technology based advantages, what advantages are left to explain the seemingly unstoppable spread of Uber? The taxi industry in most countries and cities is a highly regulated industry. Although it varies by location, the rules and regulations that are in place typically include requiring drivers to carry a commercial drivers license, more expensive insurance policies, more regular vehicle checks, regular health checks for drivers, as well as various fees and taxes. As this article from the Boston Globe highlights, all this results in a significant overhead for the taxi owners and their drivers. Many Uber and Lyft drivers on the other hand avoid most or all of these extra costs. This allows drivers to operate at a lower cost than traditional taxis and still be profitable – which is the main complaint of most existing taxi owners and drivers. There is a strong argument to be made that the rules and regulations in many cities are overly onerous and should be reformed, but that doesn’t change the fact that people who are following those rules are at a significant disadvantage. It is also hard to think of another example where a company operating outside existing laws has such popular support. Imagine for a second if this was a finance company flouting the rules to build market share – what would people’s reaction be? Of biggest concern in these avoided expenses is the lack of appropriate insurance. In a survey conducted on the therideshareguy.com, almost 90% of the 500+ respondents didn’t currently have insurance that would cover them as a commercial driver. This is hardly a representative sample, but it does suggest a significant number of drivers are driving uninsured. It should be noted that in many cases this isn’t just a case of people not purchasing insurance. In many states (and countries), there is no legitimate insurance available for ride share drivers. Additionally, even in places where it is available, there is often a lack of clarity as to when the driver is and isn’t covered. However, none of this negates the fact that a major expense, one that taxi owners are forced to wear, is being avoided. Aside from avoiding costs, there is another slightly underhanded tactic that Uber and Lyft are using to undermine taxis and attract new drivers to their service – providing subsidies to drivers. How this typically works is that Uber/Lyft will provide a guarantee to their drivers that they will make $X per hour driving for the service. When the drivers don’t (or can’t) make that much through driving alone, Uber/Lyft provides a top up. This account of driving for Lyft reveals just how big those subsidies can be worth – in this case the driver received $1,500 in pay for a period in which he only made $600 in actual fares. In many cases, these subsidies are required to help offset the reductions in fares that Uber and Lyft use to attract more customers to the service. Chart 1 and Chart 2 show recent reductions in average fares in Chicago and New York City. It should be noted that in both cases, the drivers’ earnings per hour increased on average, but at the expense of significantly more trips taken. As great as this sounds for drivers and customers, the problem is that this clearly isn’t a sustainable business model for ridesharing services. It is being used to attract new drivers and grow the business. But the impact of this is that it very difficult for any incumbents in the marketplace to remain competitive. Think about an analogous scenario that most people in the US or Australia will be familiar with – supermarkets. A big chain (Walmart in the US, Coles or Woolies in Australia) moves into a small town, opens up a big new supermarket, and starts selling products at a loss. Great for consumers right? In this case, most people recognize this for what it is – predatory pricing designed to drive the incumbents out of business. So what is the difference with Uber and Lyft doing this and driving the taxi services out of business? If you are about to argue that Uber is a start up competing against a rich, well-funded and protected taxi industry, let’s just remember who the competitors are. On one side we have Uber, a company recently valued at $50 billion and that has now raised almost $10 billion in funding. On the other side, there is a group of mostly small business owners, many of whom have probably borrowed against their house to buy their taxi license. The final unfair advantage is one that is more incidental than a deliberate strategy. This advantage specifically benefits Uber and Lyft, rather than their drivers and arises from rideshare drivers’ lack of experience in the commercial driving business. Basically, many Uber and Lyft drivers simply aren’t accounting for all their costs correctly and, as a result, there is an oversupply of drivers. The mistake many drivers are making is that they aren’t properly taking into account the long-term costs of the service they are providing. In addition to the cost of the gas/petrol, significant costs are incurred through the increased maintenance requirements for the car. These include the extra: sets of tires; oil changes; brake pads; timing belt replacements; and so on. On top of increased maintenance costs, arguably the biggest expense being ignored by many drivers is the increased depreciation of their vehicles worth. 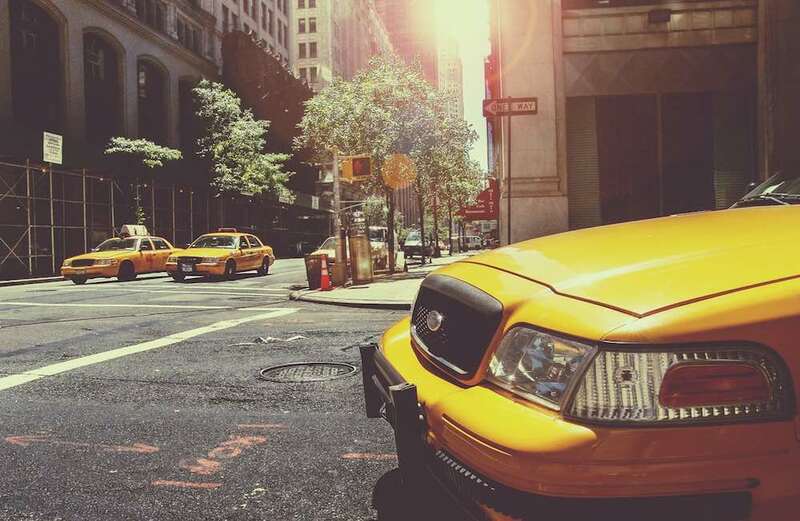 By some estimates, a taxi doing 60 hours of driving a week in NYC (which probably has shorter average rides than most cities) does just over 46,000 miles (75,000 kms) a year. At that rate, just one or two years of driving for Uber or Lyft is going to put a serious dent in the resale value of your new Camry. And let’s not even start on how that shiny 5 year/100,000 mile warranty ran out after year 2 and your gearbox just threw a cog. Finally, going back to the lack of appropriate insurance held by many rideshare drivers, there is a risk of large expenses incurred through an accident. If we assume the probability of an accident is greater than zero for any given drive, uninsured drivers should be factoring in an expected cost of an accident into the costs of their business. Once these costs are properly accounted for, many drivers are reporting incomes below or at minimum wage level. To make things worse, as this piece from uberdriverdiaries.com points out, this is a minimum wage job where you have to supply a $20,000+ piece of equipment. Unfortunately, many drivers will learn the hard way that driving wasn’t as profitable as they thought it was. In some cases it is possible that driving will actually cost the driver more than they made. At some point though, probably after the subsidies end, there is going to be a major consolidation in the number of drivers working for these services as they arrive at this realization. At the moment, rideshare companies Uber and Lyft are in extreme expansion mode and there is a huge amount of excitement around them. Unfortunately for taxi owners and drivers, this is not likely to end soon, and relying on regulators to enforce caps seems misguided. Even in cites where rideshare services have been banned, Uber has already shown it is willing to undermine those attempts to take its drivers off the road by paying drivers fines. You could argue that paying all their drivers fines may not be sustainable business model in the long term, but a company last valued at $50 billion probably figures they can keep paying fines longer than taxi owners can go without getting rides. At some point, there will probably be some changes to align regulations for taxi drivers and rideshare services. This will probably make life more difficult (read: expensive) for rideshare drivers, but also life easier for taxi owners. But at least it should put everyone on an equal playing field. They cut costs to stay profitable (cheaper and older cars, maintenance short cuts, no more chocolates and water bottles). In short, the rideshare drivers that do stay in the market start to look and feel a lot more like taxis. There are already complaints in some more established markets that this is starting to happen. Ultimately, the market will reach an equilibrium. For consumers, that is likely to be a world with a better, technology assisted, experience than was available 5 years ago. It probably also means slightly cheaper rides than the old taxi monopoly was providing, simply because the number of cars on the road is no longer capped. Thanks to the concept of surge pricing, you are also likely to spend far less time waiting in lines at taxi ranks, even at peak times – but you will pay extra for the convenience. For the drivers and owners, driving is likely to become less profitable. In the future, driving probably becomes the equivalent of a minimum wage job. Maybe the idea of working for something like minimum wage, but with the flexibility to choose your hours and work from your own car is not such a bad deal, but it is very different from the experience many rideshare drivers are having today. Finally, I wanted to leave you with a couple of very cool visualizations of data obtained from taxi drivers. “Ride sharing” is a bit of a misnomer – you have to pay after all – but this is the commonly used name for these services. Whether they are being used is a separate question. Let’s face it, rules and regulations in the financial industry are an order of magnitude more onerous than for taxi services. The people reading that article are probably doing so because they are looking for insurance. But there are also plenty of people who wouldn’t even be conscientious enough to look in the first place. Typically, there are various conditions applied that lock the driver in, such as a minimum number of hours worked in a week, 90%+ of rides accepted and so on. The probability of an accident occurring on that drive multiplied by the expected cost to the driver of that accident. As individual contractors, Uber and Lyft drivers aren’t subject to minimum wage requirements, but drivers will only continue to drive if they can make more than they could bussing tables or flipping burgers.